The completely refurbished Topcon CL100 Automatically distinguishes a progressive lens and shifts the display to an hourglass representation; simply align the lens with the (+) target. 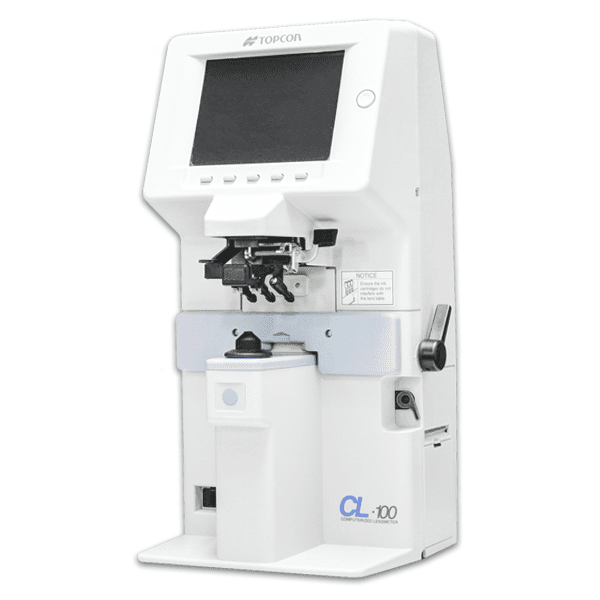 Standard features of the CL-100 include a unique marking device with ink cartridges that provide clear marking, even on coated lenses. Measurements of hard or even soft contact lenses are also available. You can also transfer data between instruments using a cable. 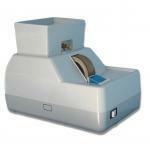 This allows for uploads to the CV system or communication to the 8000 SUPRA Series auto refractors. Optional Built-in Printer Optional Spectrum Lens Analyze.